"One can't think well, love well, sleep well, if one has not dined well"
Take your taste buds on a 7,800 mile journey to the distant shores of India. 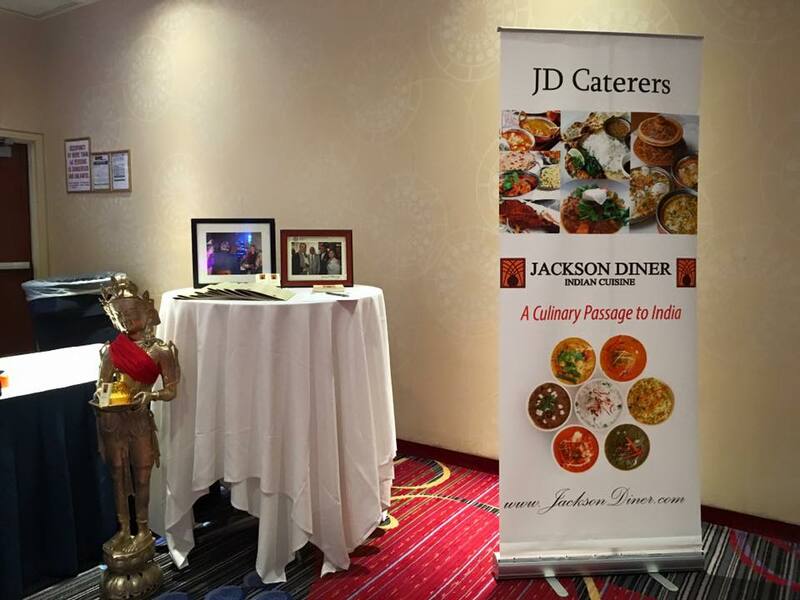 Located in Queens, New York, Jackson Diner has offered authentic Indian Cuisine for more than 35 years. Our chef serves an impressive array of delectable dishes from all corners of India, giving patrons a wide selection of flavors to choose from. Since our opening in 1980, Jackson Diner has been a long-standing culinary hub for classic North Indian and South Indian delicacies. We have added a range of innovative menu items over the years. We have been in business since 1980, and throughout these years we have had the pleasure to cater various events and serve many diverse clientele. From the lush farms of Northern India to the waterfront of the South, Jackson Diner serves a rich array of diverse, aromatic dishes. Specializing in wedding catering, our inventive and robust menu offers classic North Indian appetizers and entrees along with newly added, distinct appetizers. Artfully blending unique flavors with fresh ingredients, our chef creates exciting, memorable dishes that are sure to leave you wanting more. "The Bottom Line—The Jackson Diner in Jackson Heights, Queens, serves delicious Indian curries and tandooris. This well-run restaurant easily handles a crowd, and after more than ten years, it continues to please." - A Culinary Passage to India. Check us out on and for the latest updates.